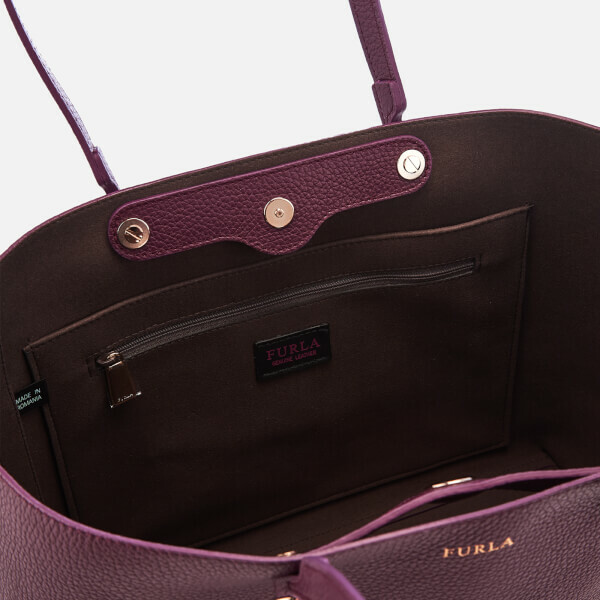 Purple leather tote from Italian luxury accessories label, Furla. 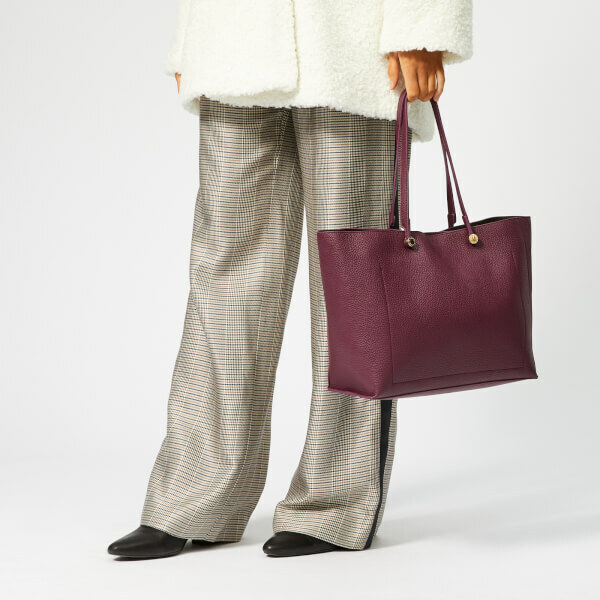 Crafted from luxurious pebble-textured leather, the ‘Eden’ shoulder bag boasts a roomy, suede-lined interior with a slip and zip pocket within. 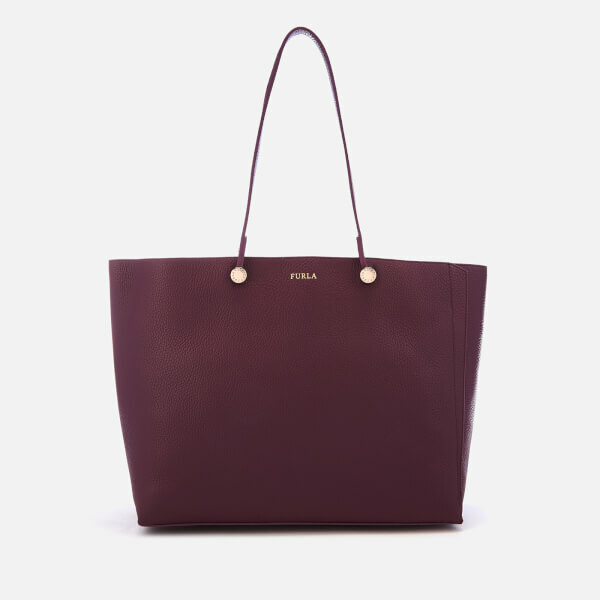 Suspended from a pair for top handles, the medium-sized tote features an open-top design with a small mag-dot popper at the top to secure the bag’s contents. 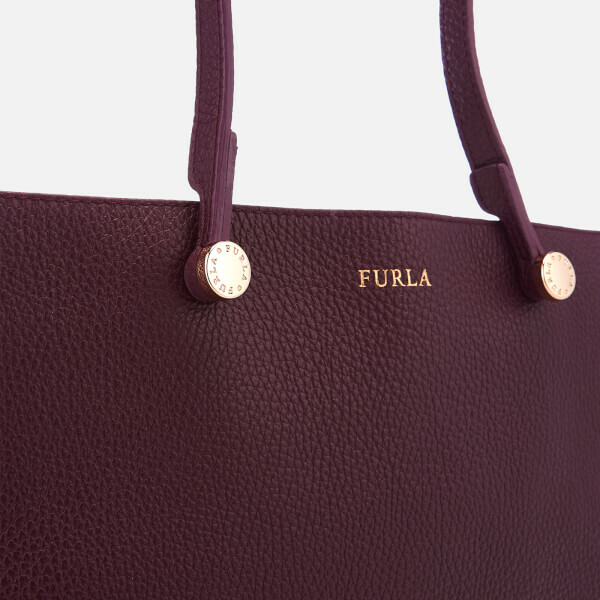 Gold-foil branding and engraved circular rivets add the signature touches. 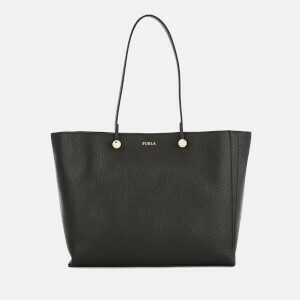 Protective dust bag included. Dimensions: H: 26cm x W: 32cm x D: 13cm. 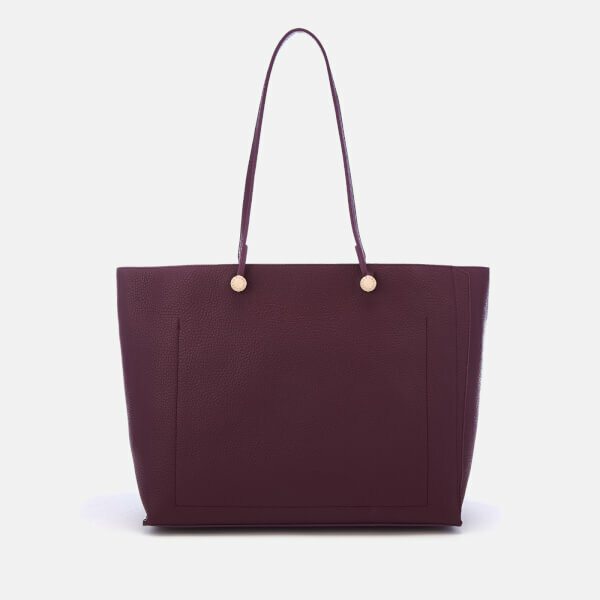 Handle Drop: 23cm.